Lattice trimmed cottages rise up on pilings with the old-fashioned ambience that comes with Dade County pine. Furnishings are reed, rattan and wicker, with wide hammocks out front suggesting that people were meant to live comfortably here, without a lot of fuss. Allamanda, bougainvillea and hibiscus jiggle colorfully. The beach edges a little cove lined by mangroves. Sea birds skim the thermals. The sandy bottom slopes gently. Cheek by joule houses on a distant shore prompt sighs about how privileged this place is (as quoted in Travel Section of the Miami Herald. Also featured in Family Fun, Child, Town & Country, the Boca Raton, American Heritage and National Historical Magazine. ) Our prime location offers quick and easy access to the magnificent coral reefs and trophy size game-fish on the ocean side, or to the equally challenging bonefish and tarpon on the Gulf side flats. 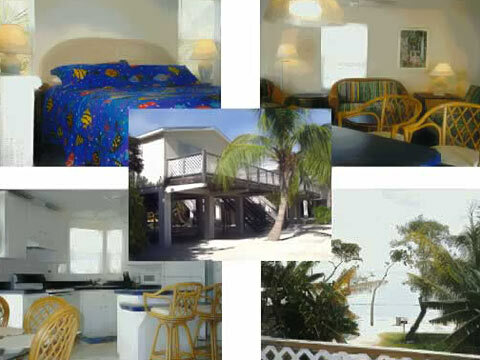 Conch Key Cottages are hard to find but well worth the effort. Located at Mile Marker 62.3 Oceanside. Last Minute Sweet Escape Specials....Relax and Save $$$! Call Reservations at 1-800-330-1577 now for Great Get-away Now Rates! Stay a minimum of two weeks and get an extended stay discount. Call for reservations Family Fun Package: Stay a minimum of four nights and receive free admission for your family to the Dolphin Plus Research Center or the Turtle Hospital. Plus 10% off all scuba, snorkel, and snuba adventures. Call for reservations. Water Sports Package: Stay a minimum of three nights and save 20% off any two water sports trips per reservations including scuba, snorkel or scuba adventures. Call for reservations. Romantic Escape: Five night romance package in our romantic beach front cottage just steps from the ocean including fresh cut flowers, a chilled bottle of champagne, and chocolates. Enjoy a a private snorkel trip just for you including a picnic on a private island and end your day trip with a romantic sunset cruise. Call for reservations. Membership Discounts AAA and AARP discounts available. Restrictions do apply. Not valid with other discounts. * Advanced booking required on all packages. May not be combined with any other discounts.